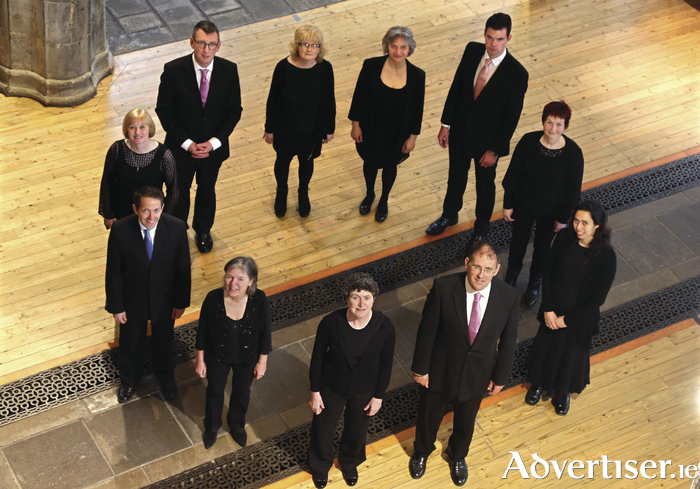 POPULA MEUS - Oh My People - is the title of this year's Music for Galway concert of reflective music on Good Friday, which will a performance from the Collegium Chamber Choir in St Nicholas’ Collegiate Church. Popule Meus is drawn from the Improperia, a series of antiphons and responses for the Good Friday liturgy - more commonly known as The Reproaches. These are some of the most emotionally charged texts of Easter, linking Old Testament acts of God to the events of the Passion, as Christ remonstrates with humanity. The concert, which takes place on Friday April 14 at 5pm, will see Collegium - one of five choirs making up St Nicholas Schola Cantorum - under conductor Mark Duley perform the a cappella choir works 'Popule Meus' by Tomás Luis de Victoria; 'The Royal Banners Forward Go' by Jonathan Harvey; 'Lamentations (a5 )' by Robert White; 'The Reproaches' by John Sanders; and 'Christus Factus Est' by Anton Bruckner. Tickets are €15/12/6 from Music For Galway (www.musicforgalway.ie, 091 - 705962 ) or Opus II, High Street.